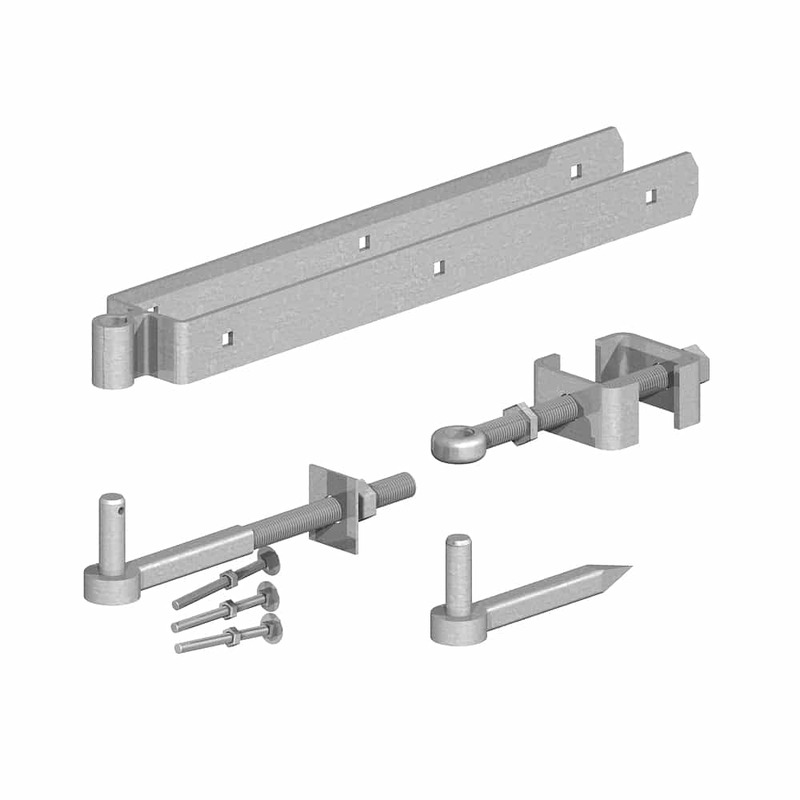 A galvanised 24" adjustable gate hanging kit suitable for 3" wide gates, used with pairs of field or entrance gates to help make aligning the gates easier. 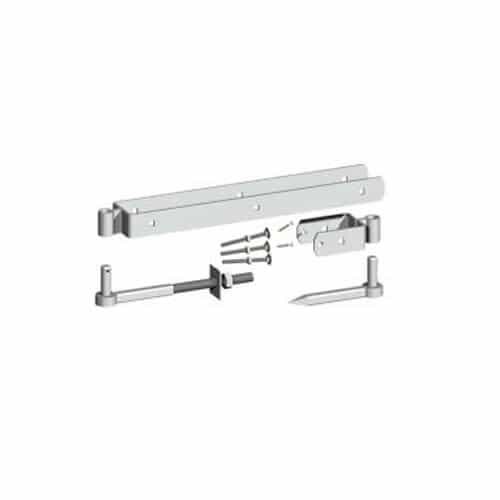 Comprising top band, adjustable bottom band and a hook to screw and hook to drive. 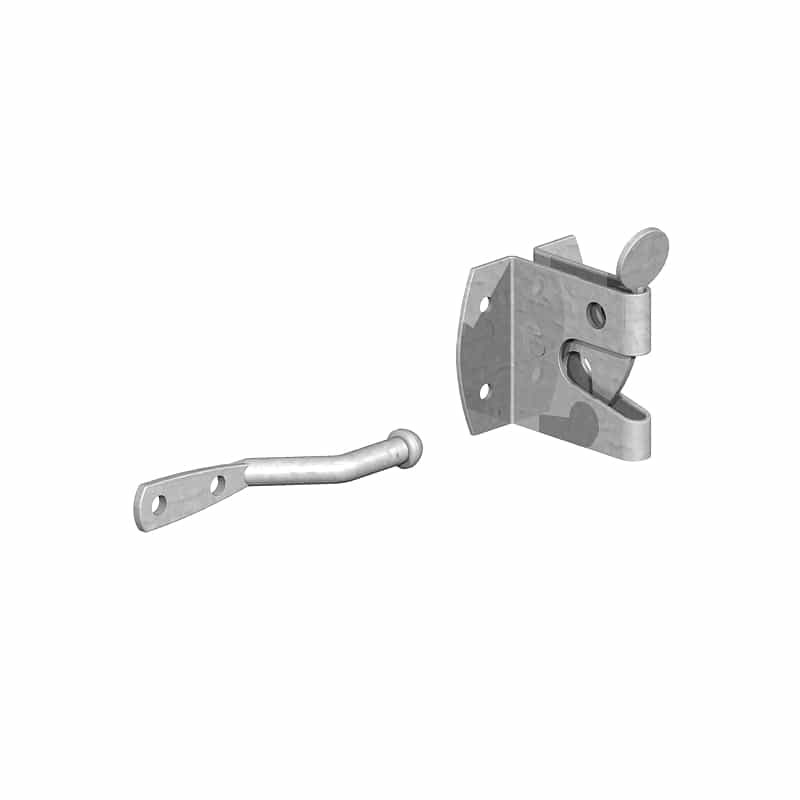 These galvanised adjustable hooks and bands are used to hang boarded doors, stable doors or garage doors. Comprising two hooks on plate and two bands. A galvanised auto catch, used to secure pale gates and garden gates. A galvanised auto catch and striker used for field and entrance gates. A galvanised 6” brenton bolt, used on garden gates and garage, stable and barn doors for security purposes. They can be used with a padlock. 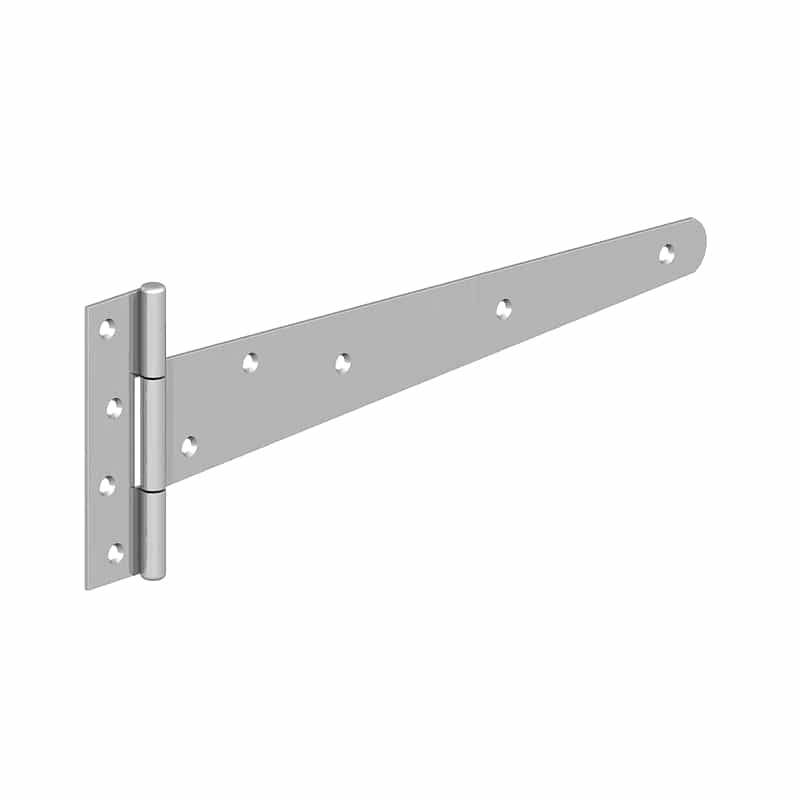 A galvanised drop over catch with loop handle, used to secure a pair of field or entrance gates. 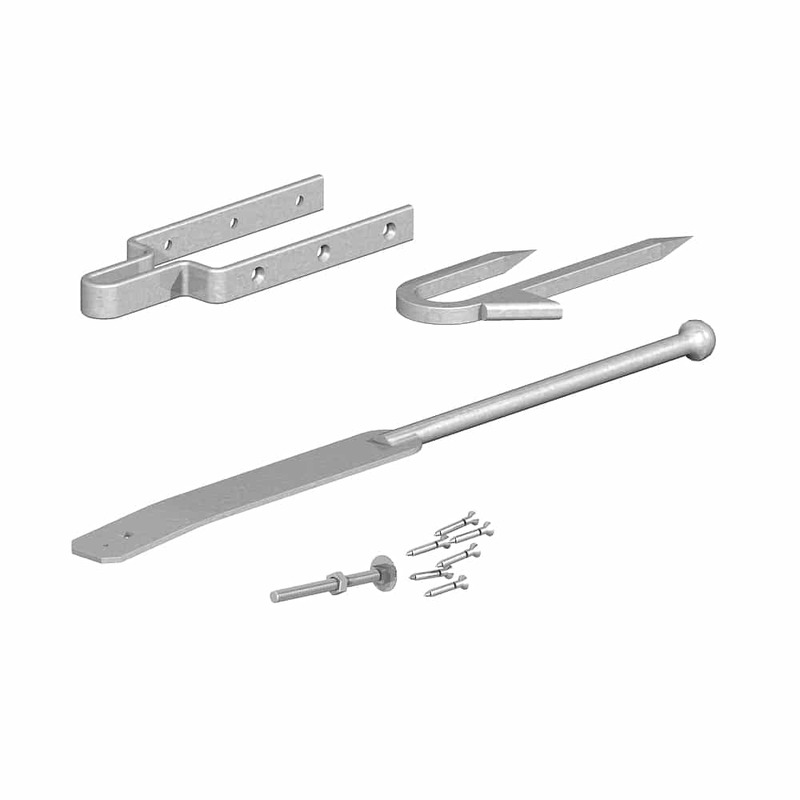 A 24" galvanised gate fix kit suitable for 3" wide gates , used to hang a single field or entrance gate. 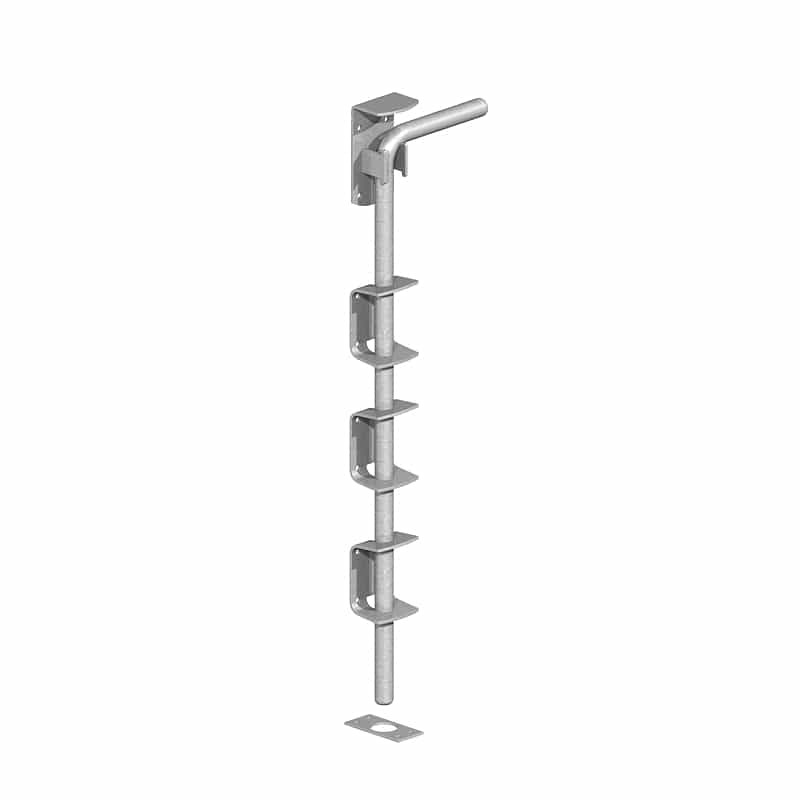 Comprising top band, bottom band, hook to screw and hook to bolt. 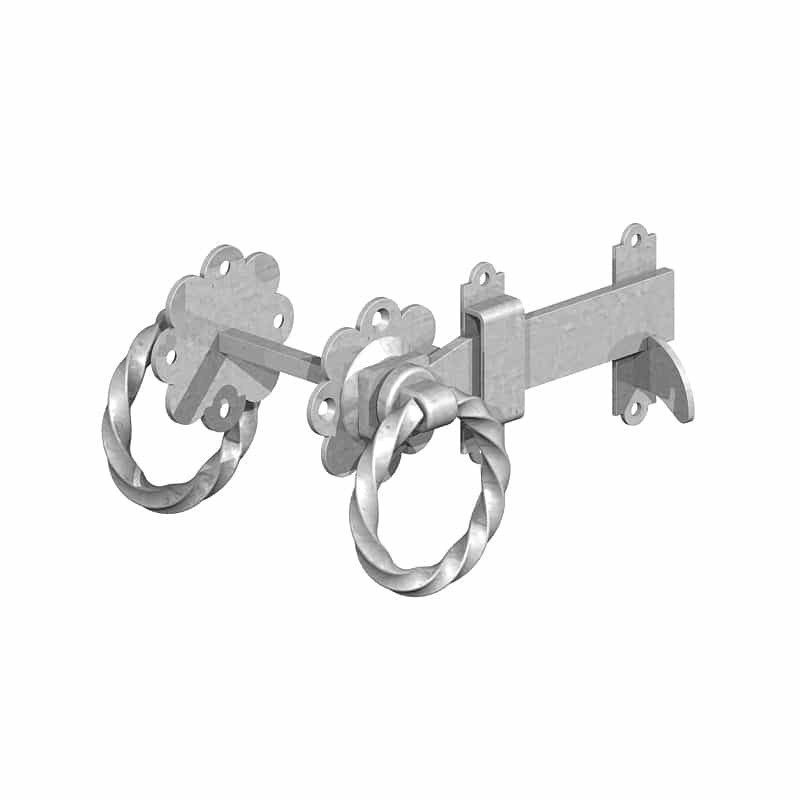 Hook on a plate, used to hang field or entrance gates and boarded doors. 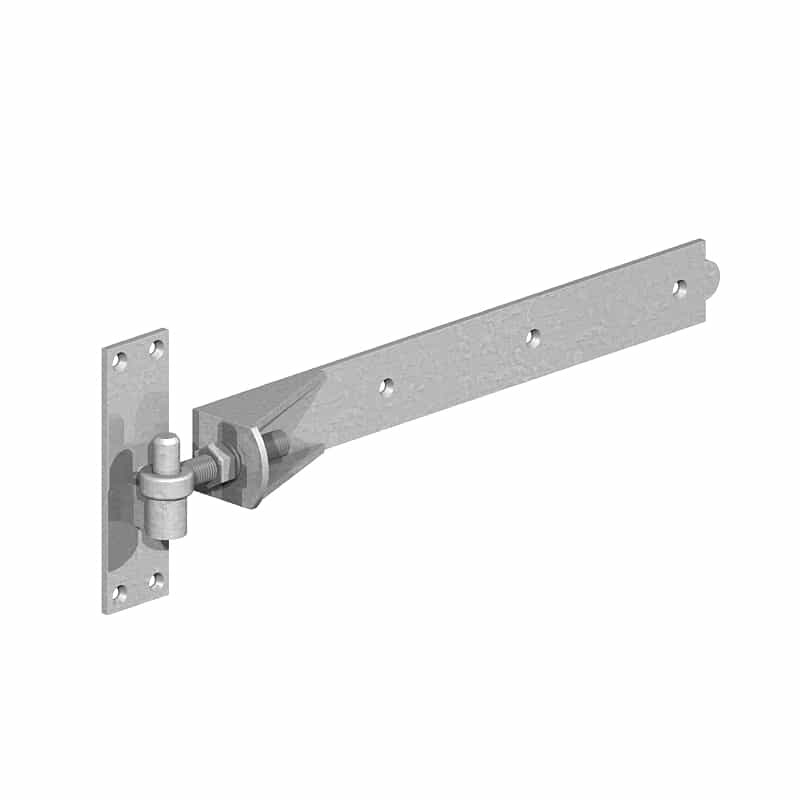 A popular galvanised handle and fastening used on pale gates, pairs of driveway gates and doors. 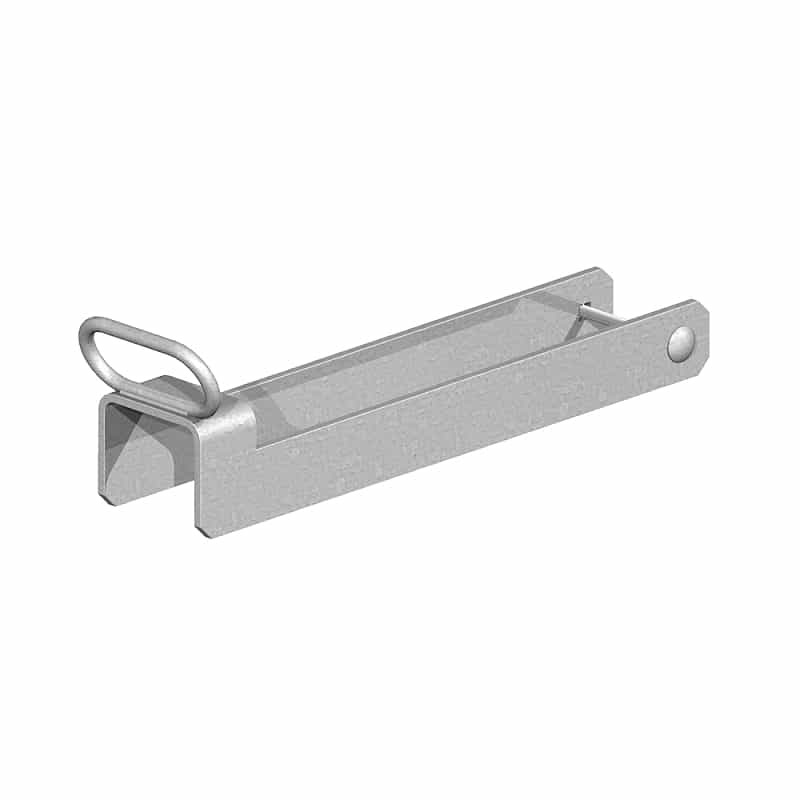 These galvanised tee hinges are used to hang pale gates, batten doors and panel doors. 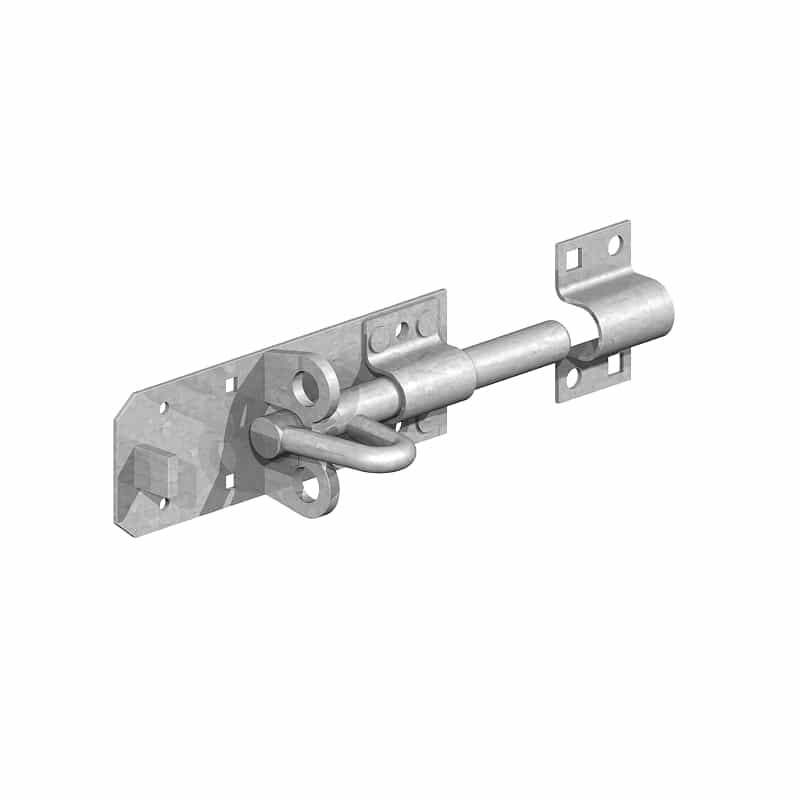 The galvanised shera safety catch is a popular fastener used on field and entrance gates. 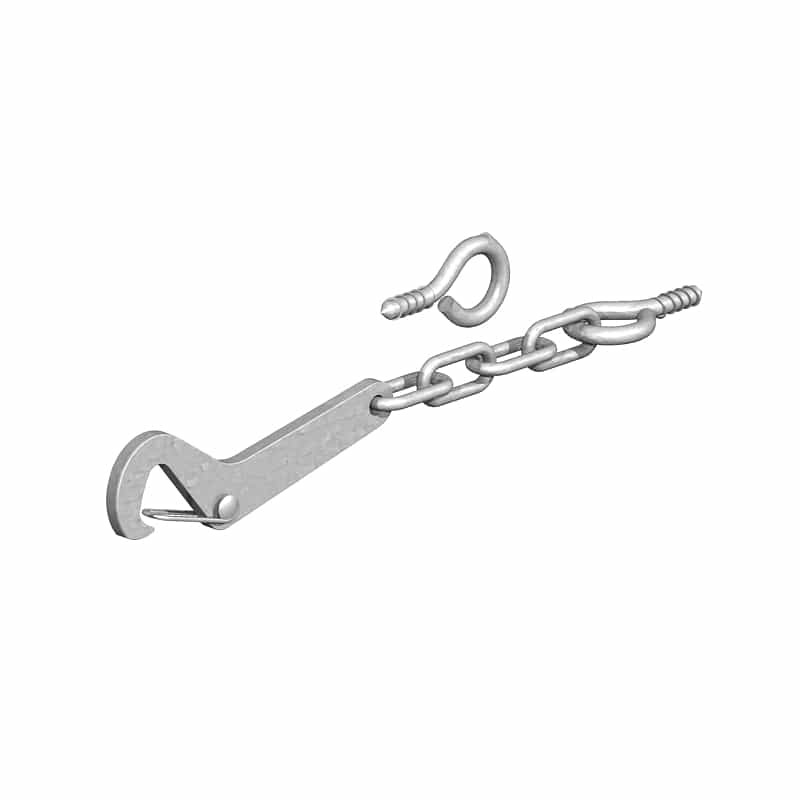 For use with horses and pedestrians, a galvanised spring fastener is used mostly on entrance gates or field gates. 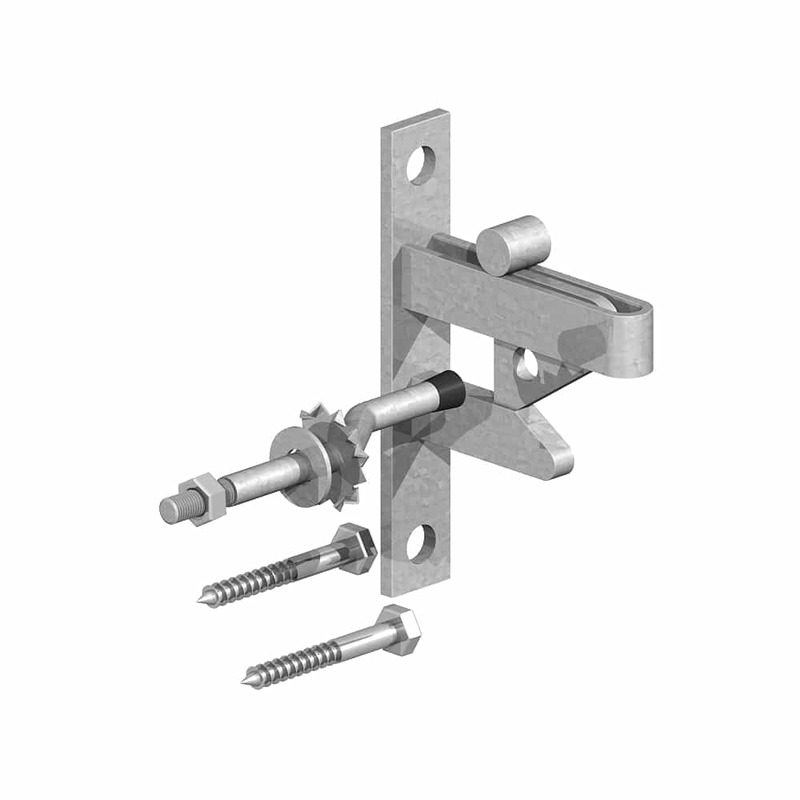 A surface bolt, also known as a drop bolt, is used with field, entrance gates and boarded doors, to add stability and security. 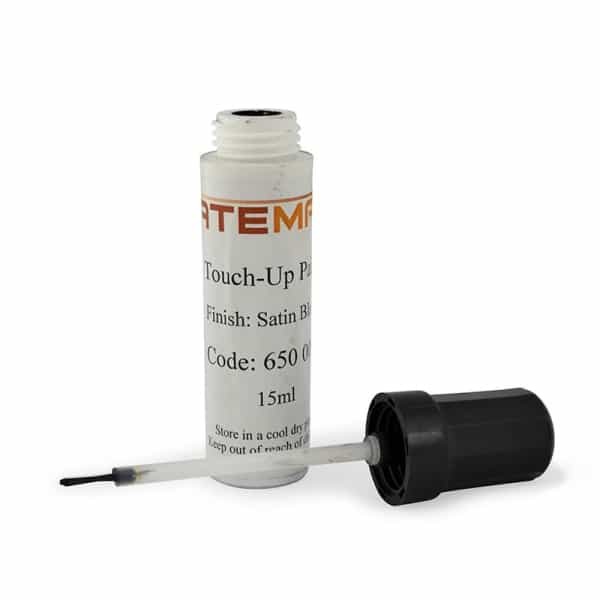 Black touch up paint, used to touch up black gate ironmongery, 15ml.